Did you know that this week is Child Passenger Safety Week? This is a criticial week of awareness - especially since motor vehicle crashes are the leading cause of death for kids ages one through 12 years old. In addition, three out of four kids are not as properly secured in a vehicle because their car seats are not correctly installed. 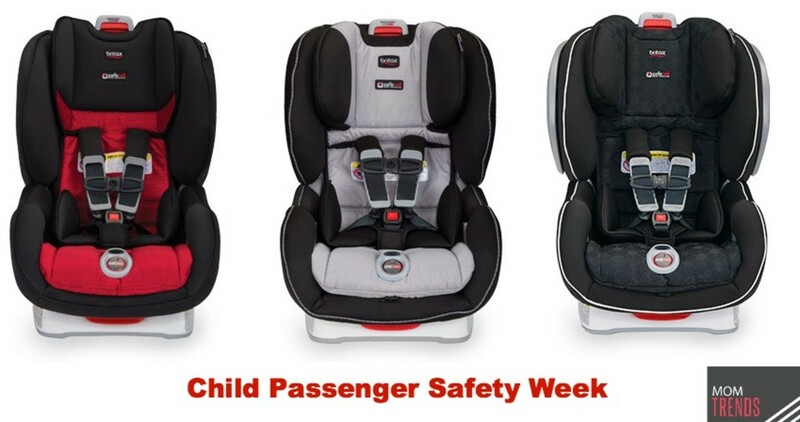 For a better understanding of car seat safety, we are sharing some tips from Sarah Tilton, Britax&apos;s Child Passenger Safety Advocacy Manager, about how to stay safe on the road. Belt-Positioning Boosters are for big kids. Don&apos;t transition out of a 5-point harness prematurely. When using LATCH (Lower Anchors and Tethers for Children), be aware that your vehicle&apos;s lower anchors have weigh limits. You must switch to vehicle seat belt installation when the weight of the car seat and the child exceed 65 lbs. Another solution is Britax&apos;s new ClickTight installation. Easy, fast and super secure! A snug harness strap should not allow any slack. If you’re able to pinch the strap, the harness is too loose. You should not be able to pinch any excess webbing. For children 12 years of age and under, remember -- the backseat is always the safest place for them to ride. Be sure to check your child seat and vehicle user guides for available seating positions. Did you know that your car seat has an expiration date? Double check the manufacturer’s tag to be sure your seat is still safe. Vehicles can become very hot, especially in the warm summer months. Never leave your child in a vehicle unattended. Be sure your child&apos;s harness is tight enough, especially in the winter months when children are bundled up in thick layers and bulky outerwear. If you still feel unsure about your car seat installation, please have a certified technician check your installation.